As mentioned in our previous blog post about our GDPR project plan, we structured our implementation plan in 14 sub-projects. In this blog post we’ll take a look at the first of these sub-projects. The foundation for the sub-projects was (of course) the requirements in the GDPR Regulation, which we had mapped in subproject # 1: Compliancy Status Tables mapping Runbox’ status compared to regulations. In order to prepare ourselves, we did that before the final regulation was decided. We also did this for the requirements from the Norwegian Personal Data Regulation at that point in time. Of course, the mapping had to be made compliant with the final version of the GDPR after the EU decision in 2016 – and so we did. At that point in time, we had our project nicely structured in the 14 sub-projects mentioned above. That was pretty easy, because of the mapping we had done. An important fact in this context, is that Runbox is a controller and a processor as well, depending on the circumstances, according to the GDPR definitions. It was important to be exact about where and when. Our agreement with our main processor, Copyleft Solutions – and what about the agreements with our affiliates, partners and the like? Are confidentiality clauses regarding protection of personal data adequate any longer? What changes have to be done in our systems to fulfill GPDRs requirement regarding customers’ rights? Do we have a systematic documentation of our systems, and what about access control? Does our information security policy cover the necessary elements, and is our risk analysis up to date? What about the processing of personal data we do for internal processing? Obviously it was necessary to take a look into the agreements we have with internal and external personnel. What about the internal control mechanism we have – do they comply? Those points (and some more) made the foundation for establishing delimitations between each sub-project, which we will continue blogging about in the weeks to come. In our blog post May 25, 2018 we described the main areas of Runbox’ GDPR implementation. On this Data Privacy Day we’d like to update you on our GDPR implementation, how we did it, and what we learned on the way. There is an enormous amount of information out there describing GDPR content, simple copies of the regulation, some templates of varying quality – and a lot of warnings. So first of all, let’s recap what the GDPR is. What is the GDPR, and why did it come about? In 2012, the European Union (EU) first proposed a set of rules for protection of data inside and outside the EU. An important reason for this decision was a desire to improve the ability for individuals to control data registered about themselves. In 2016, the GDPR (General Data Protection Regulation) was formally adopted by the European Parliament and the Council of the European Union to take effect for all individuals within the EU and the European Economic Area (EEA). At Runbox, which is located in the privacy bastion Norway and within the EEA, we started the GDPR planning and implementation process as early as 2014. At that point in time, we had followed the process in the EU about a comprehensive reform of the EU’s 1995 data protection rules. In the spring of 2014, the European Parliament demonstrated strong support for the GDPR proposal set forward by the Article 29 Working Party. 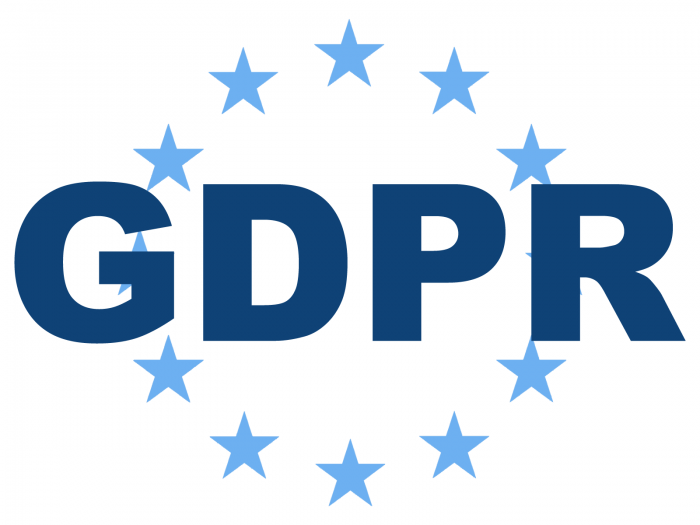 (You can find more information about the history of the GDPR in the article The History of the General Data Protection Regulation.) Shortly thereafter, in September 2014, our GDPR Compliancy Project was launched. We didn’t know at that time when the GDPR would take effect, but we knew the direction – that is: The GDPR was indicated to move in the direction of existing Norwegian privacy regulations, based on Article 29 Working Party documents. We structured our implementation project in 14 partly parallel sub-projects, and after the decision by the European Parliament and of the Council by April 27, 2016, we updated our project plan towards the target date May 25, 2018. We started out mapping exactly our position compared to Article 29 proposal, which in 2015 was replaced by The European Data Protection Board, and then we went ahead to work out our main planning document, Rules and Regulations for Information Security Management. The groundwork was done, and we proceeded the project towards fulfillment of our obligations regarding privacy under the new legislation, implemented in Norwegian law by July 20, 2018. We will share more information in forthcoming blog posts, so stay tuned! January 28th is Data Privacy Day, and was initiated by the Council of Europe in 2007. Since then, many advances to protect individuals’ right to privacy have been made. The most important of these is the European Union’s General Data Protection Regulation (GDPR) which was implemented on May 25, 2018. Runbox has promoted data privacy for many years, anchored in Norway’s strong privacy legislation. At Runbox, which is located in the privacy bastion Norway, we believe that privacy is an intrinsic right and that data privacy should be promoted every day of the year. We’re pleased that Data Privacy Day highlights this important cause. Many who use the Internet and email services in particular may think they have nothing to hide, not realizing that their data may be analyzed and exploited by corporations and nation states in ways they aren’t aware of and can’t control. While threats to online privacy around the world are real and must be addressed, we should not be overly alarmed or exaggerate the problem. Therefore we take the opportunity to calmly provide an overview of Norway’s and Runbox’ implementation of data privacy protection. First of all, Norway has enacted strong legislation regulating the collection, storage, and processing of personal data, mainly in The Personal Data Act. The first version of Norway’s Personal Data Act was implemented as early as 1978. This was a result of the pioneering work provided by the Department of Private Law at the University of Oslo, where one of the first academic teams within IT and privacy worldwide was established in 1970. Additionally, the Norwegian Data Protection Authority, an independent authority, facilitates protection of individuals from violation of their right to privacy through processing of their personal data. Runbox believes in transparency and we provide an overview of requests for disclosure of individual customer data that we have received directly from authorities and others. Our Transparency Report is available online to ensure that Runbox is fully transparent about any disclosure of user data. Runbox spent 4 years planning and implementing EU’s General Data Protection Regulation, starting the process as early as 2014. For more information about Runbox’ commitment to data privacy, we recommend reviewing the Runbox Privacy Commitment. 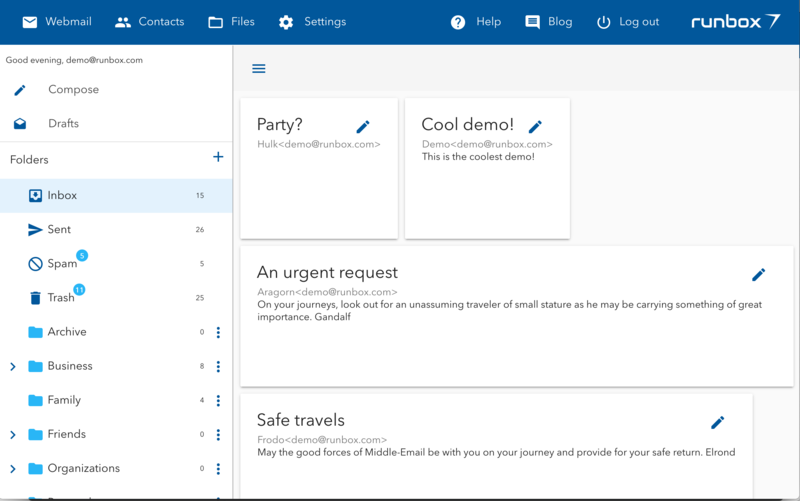 Runbox 7 Webmail recently entered open beta, and if you haven’t tried it yet you are missing out! When you log into Runbox 7 the first thing you’ll notice — aside from its beautiful design — is the speed. Your folders and messages will load instantly, and no matter how many messages you have the message list will scroll without delay and without any limit. Gone are the days of waiting for the next screen-full of messages to load, or having to click to navigate between pages. Switching between folders, sorting the message list, and moving messages — any action you perform is executed instantly. Runbox 7 Speed from Runbox on Vimeo. And the message search is lightning fast — results will show up immediately while you type into the search field. Combined with message threading and inline message previews, this makes email management extremely efficient with Runbox 7. We have modified Xapian by porting Xapian to WebAssembly using the C to WebAssembly compiler from emscripten, which lets it run both in NodeJS on the server and in the browser. Our fork of Xapian will be merged into Xapian’s repository on Github so that it will become available for others to use. 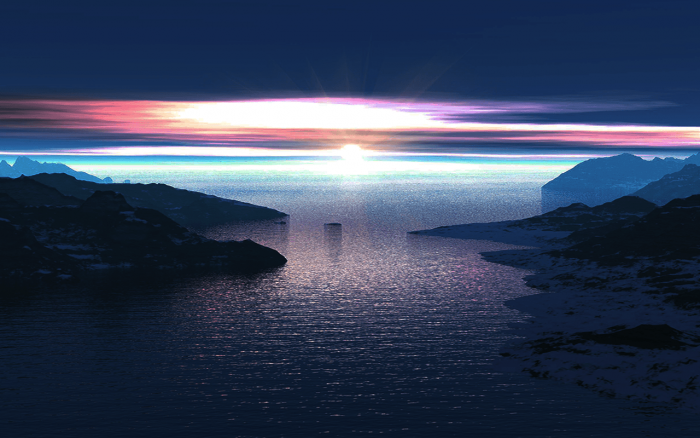 This is accomplished by utilizing a custom version of the open source Xapian email indexer. 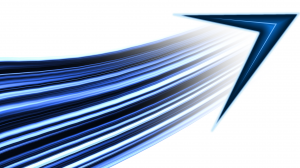 We have always been impressed with Xapian’s processing speed, reliability, and adaptability, and it’s ability to index large amounts of messages. 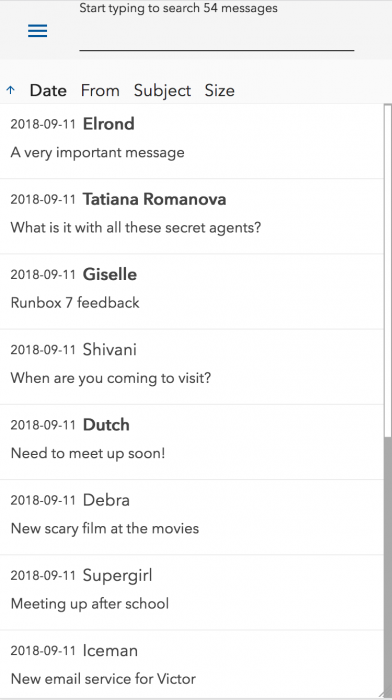 The Runbox 7 Webmail App is open source and is available in our main repo at https://github.com/runbox/runbox7. We encourage you to check out our code base, and invite you to join the Runbox revolution by getting involved in our growing community at https://community.runbox.com! A separate repo at https://github.com/runbox/runbox-searchindex generates the xapian.wasm module in WebAssembly in C++. The Xapian database is stored in the browser using IndexedDB, which is available through the IDBFS file system of emscripten. Combined with a central message database and the use of websockets, this allows the indices to stay in sync when new email arrives on the server and when changes are made locally. The power of the WebAssembly Xapian port is matched by the message listing which is written in HTML5 Canvas. This makes it possible to handle large tables and quick re-rendering, and provides good control of the rendering process. Ordinary HTML tables would suffer slowdown penalties on sorting, filtering, and resizing, and would require pagination, and would not be efficient enough for our needs. 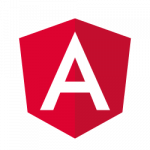 The Canvas element is wrapped in a user interface written in HTML/Typescript using Angular 2+, and is built using UI elements from https://material.angular.io/. Mail parsing is done using the HTML parser from Andris Reinmann which is written for NodeJS and can be found here: https://github.com/andris9/mailparser. 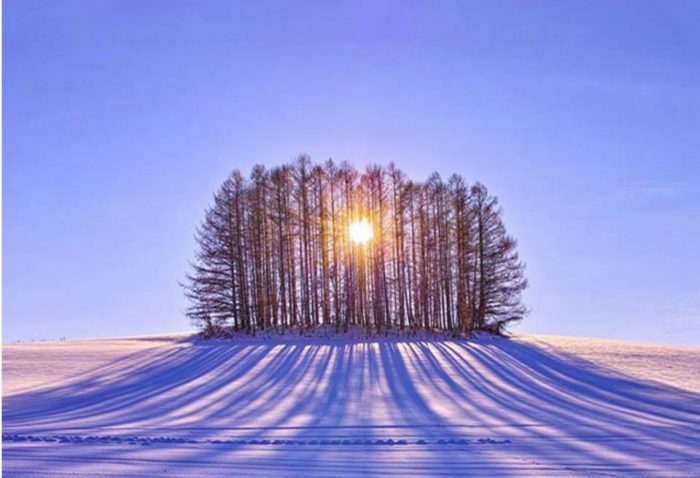 As 2018 draws to a close and the sun returns in the northern hemisphere we can conclude that it’s been another dramatic year for the world, especially with regards to our environment and the climate. From heatwaves in Europe to wildfires in California, flooding in Asia, and hurricanes in the eastern US, 2018 has continued the trend of increasing temperatures, increasing sea levels, and an increasing population, and the environmental crises are almost too numerous to count. The ominous climate report from the IPCC summarizes our shared predicament, and undisputably illustrates that all of humanity, indeed all of the species on our planet, are in one and the same boat. However, we are nowhere near on track to avoid dramatic warming of the climate, according to the recent IPPC report. In Norway these changes are also noticeable, and although we are more fortunate than many other areas of the world with the majority of our electricity being generated by hydropower, both our personal convictions and our company values compel us to do more. Among the strongest indicators that our planet’s ecosystems are collapsing is the increasing rate of species extinction, and in particular those at the top of the ecosystems. In Norway, aside from the polar bear and the arctic fox, especially the seabirds along the Norwegian west coast are endangered. 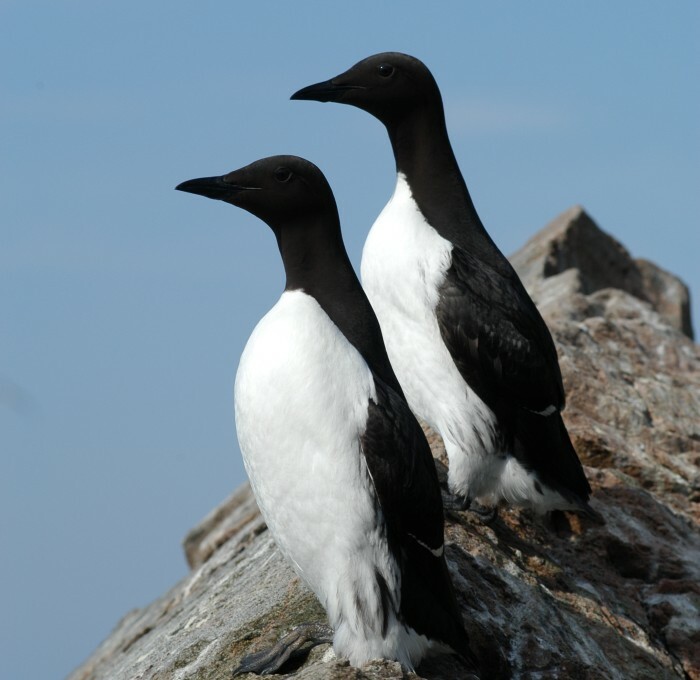 Among these the lomvi (thin-billed murre; Uria aalge aalge) in Norway has seen its population decrease 90% in the past 50 years due to climate change, food shortages, fisheries, and fishing gear and is now critically endangered here. In order to improve the condition of these birds it’s crucial that information about their condition is gathered through observations and reported through the media so that the authorities can make informed decisions. Therefore, instead of a special holiday offer to improve our result for the year, we want to give back to the environment. We have decided to donate NOK 10,000 to Lista Bird Observatory, an organization on the southwestern coast of Norway whose purpose is “to document development of bird populations by monitoring bird migration over time”. We encourage other small businesses around the world to do the same for their preferred non-profit environmental organization. We may be small, but if we all contribute according to our ability we can make a difference. From all of us at Runbox, we wish everyone the very best for 2019. 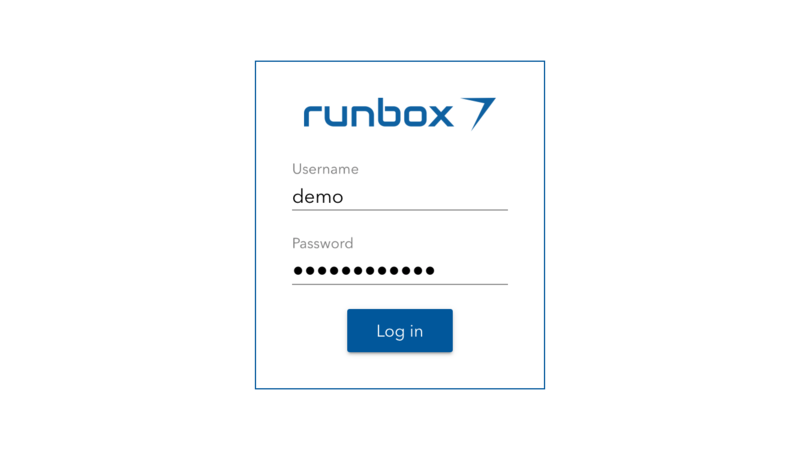 We are very excited to announce that we are now making the Runbox 7 App available as open source software! 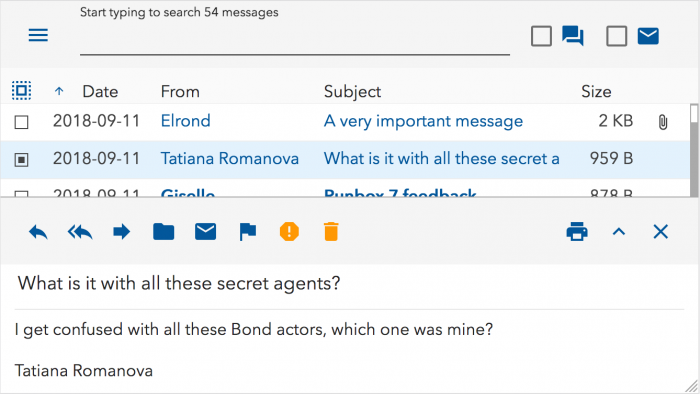 Runbox 7 is our new Webmail service currently in open beta, featuring unprecedented email indexing and search capabilities. It’s the first product whose source code we are making publicly available, and marks a major milestone for Runbox. Open source software powers most of the Internet, and makes up a large part of the platform Runbox is running on. Now Runbox 7 will become part of this global collaboration, and you can join in by visiting the Runbox repository on Github: https://github.com/runbox. Runbox has utilized and promoted open source software since the very beginning, and we owe much of our success to the open source community. Now we’re contributing back to the community with the front-end of Runbox 7, which will allow others to review our code and verify that it’s safe and secure. It also allows others to copy and modify the codebase for their own use, and contribute back to Runbox and our community. Additionally it means that we will automatically publish the Runbox 7 changelog and issues, and even let Runbox users create issues for bug reports or feature requests. It was important to Runbox that we ensure that any derivative work remains open source, which the GNU General Public License does. Another reason for selecting the GPLv3 license is that Runbox 7 utilizes the open source Xapian search engine library which is licensed under GPLv2. 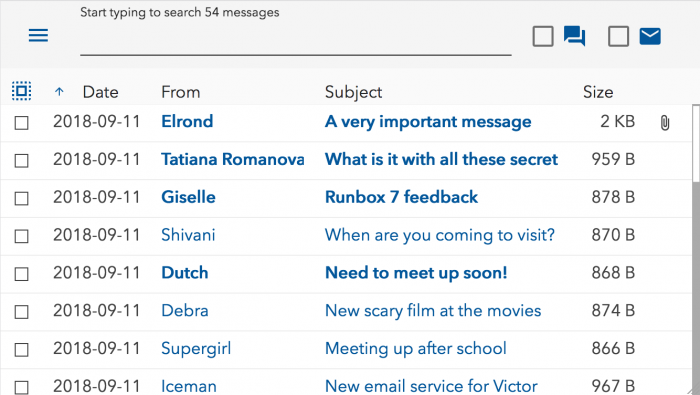 Runbox 7 isn’t merely an upgrade to our existing services, it’s a bold step into a new world of synchronized Webmail apps that provide unprecedented speed and usability. Our new app is the cornerstone of Runbox 7, and is the first of several development stages that will culminate in a completely new user interface. 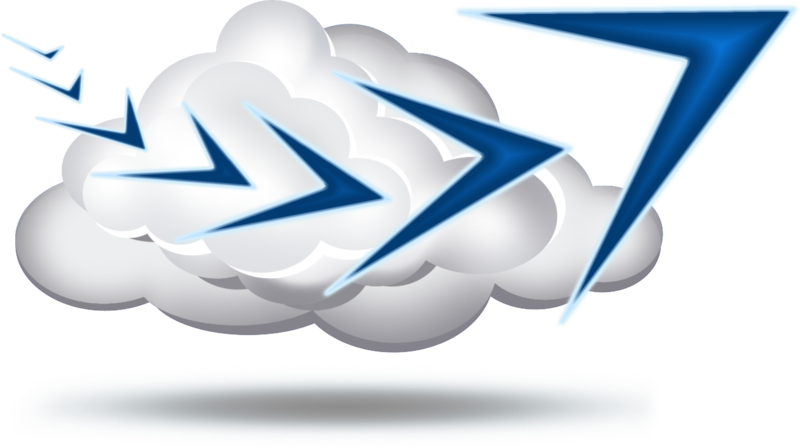 Runbox 7 Webmail currently features superior speed, incremental search, infinite listing, inline message previews, threaded conversation views, web push notifications, and a Progressive Web App for mobile phones. In the future we plan to publish the entire Runbox 7 codebase including the backend, but you can already develop the Runbox 7 App while using the Runbox servers as the backend. More information about this can be found at https://github.com/runbox/Runbox7. Ready to give it a test drive? Head to https://runbox.com/app ! We have now replaced the search function in Runbox 6 with an improved version that is based on the groundbreaking search feature we have developed for Runbox 7. 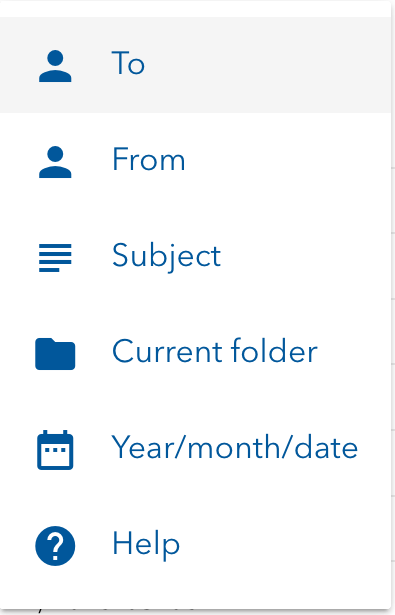 You will find the new search area at the top of the message list when clicking Search in the Webmail menu. The new search function will show results while you type into the search field, so there is no need to manually click on a Search button. Note that in Runbox 7 the search function is dramatically faster and returns results instantaneously thanks to its innovative search index synchronization. 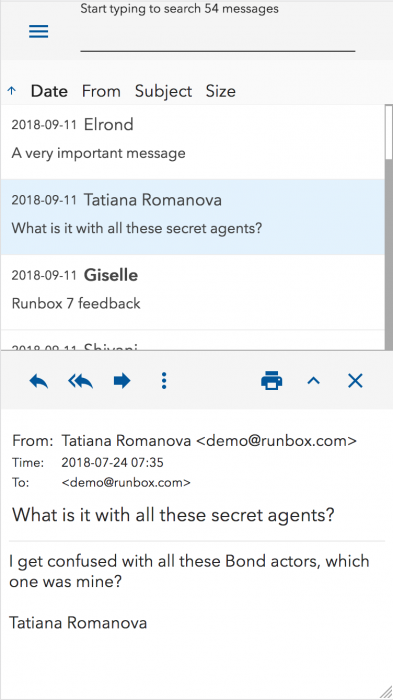 Runbox 7 also introduces many new features such as infinite message listing, inline message previews, threaded conversation view, and a mobile app version. Give it a test drive! Selecting an option will insert an example into the search field which you can then modify. More information can be found on our Help pages. 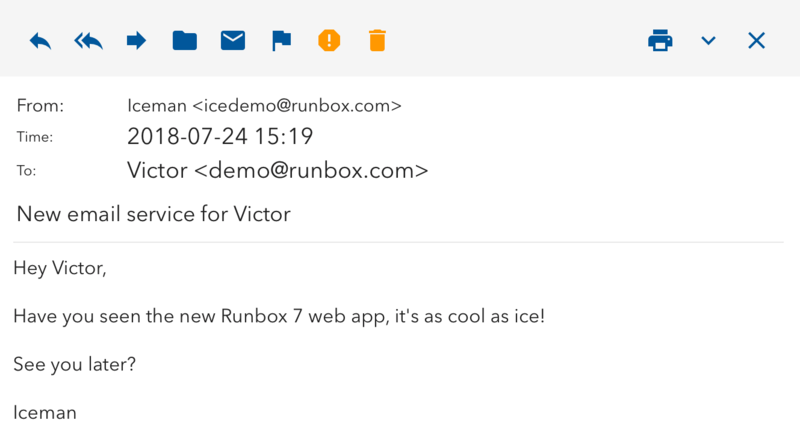 Runbox 7 isn’t merely an upgrade to our existing services, its a bold step into a new world of synchronized Webmail apps that provides unprecedented speed and usability. Runbox 7 Webmail features superior speed, incremental search, infinite listing, message previews, threaded views, a draft desk, as well as a mobile app version. 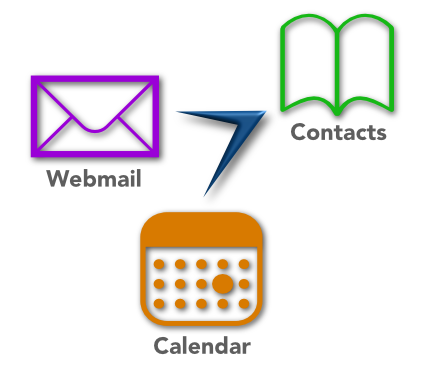 Note that we are initially focusing on the core Webmail service, and that the Runbox 7 Webmail therefore currently only includes this service. Other areas such as Manager, Files, etc. will be added as we continue working on Runbox 7, so clicking on these menu items in Runbox 7 will currently take you back to Runbox 6. Our Runbox 7 team is working hard to make Runbox 7 the best webmail app on the planet, and your feedback will help decide what we develop next. 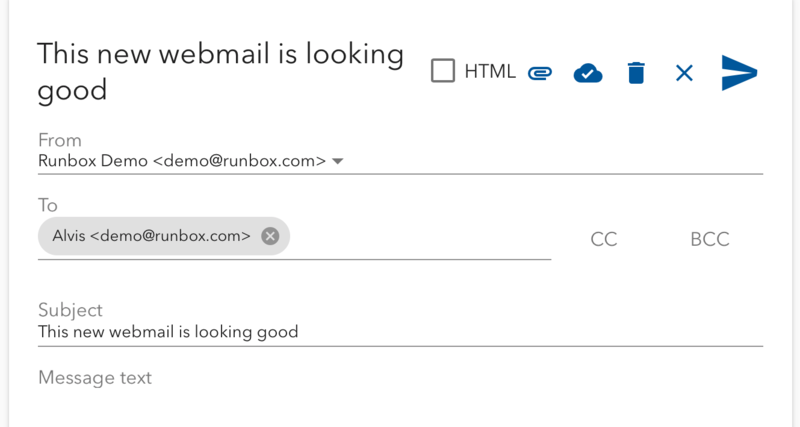 Tell us what you think about Runbox 7 Webmail in our dedicated forum at https://community.runbox.com/. Sign up to the forum using your Runbox email address so that there will be no issues gaining access to the forum. Note that before you post requests or bug reports, it’s a good idea to review other posts to see if your issue has already been mentioned. 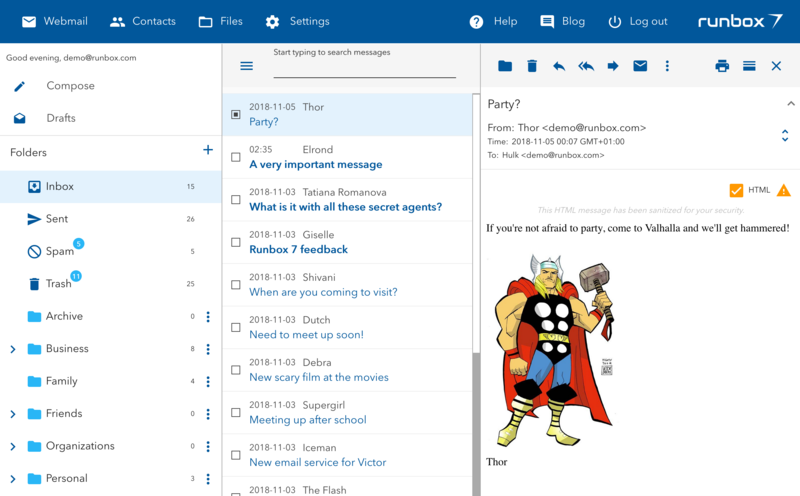 We hope you’ll enjoy a modern, user-friendly, beautiful, and above all fast webmail experience! Check out the screenshots below for a few highlights, and click on each one to bring up a hi-res version with more details. 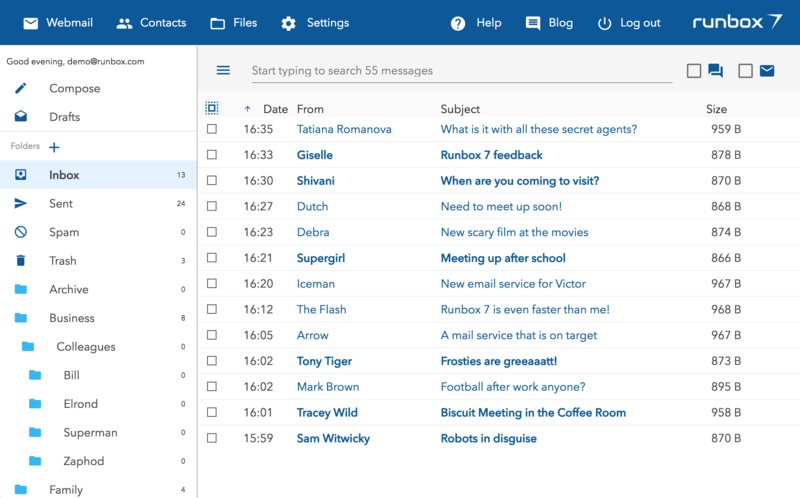 When you first log in to Runbox 7 Webmail you will find a beautiful interface with a design that is clean and efficient, yet packed with features. Its speed can’t be conveyed by a screenshot however, so try it out for yourself to get the real experience. You can preview messages either in a horizontal pane beneath the message list, or to the right of the message list as shown below. The Draft Desk shows your current drafts in a convenient desk-like layout. 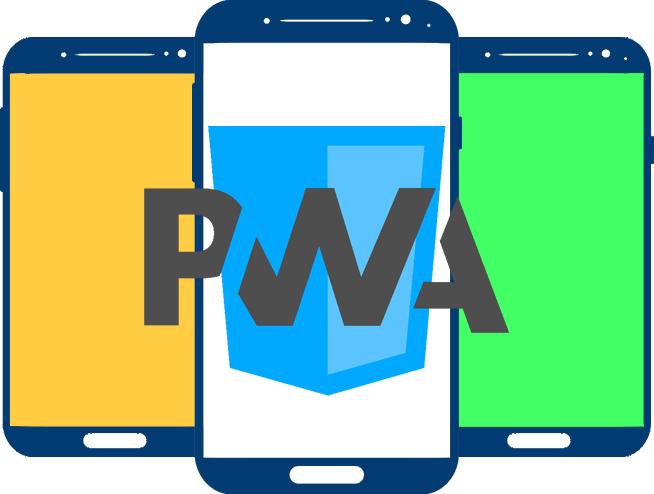 This version is what is called a Progressive Web App (PWA), built on emerging technologies that combine the open standards of the web to provide a rich mobile experience on your phone or tablet. 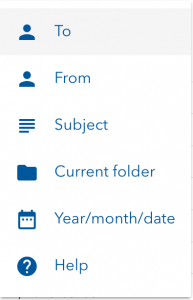 If you’re using an Apple device you can access the mobile app by first opening the regular address of the Runbox 7 Webmail app in the Safari browser, and then tapping the Share icon in the bottom menu bar. Then tap “Add to Home Screen” to add the Runbox 7 Webmail app to your phone. On Android, you should get a prompt to download the app as soon as you go to the regular address of the Runbox 7 Webmail app in the browser. 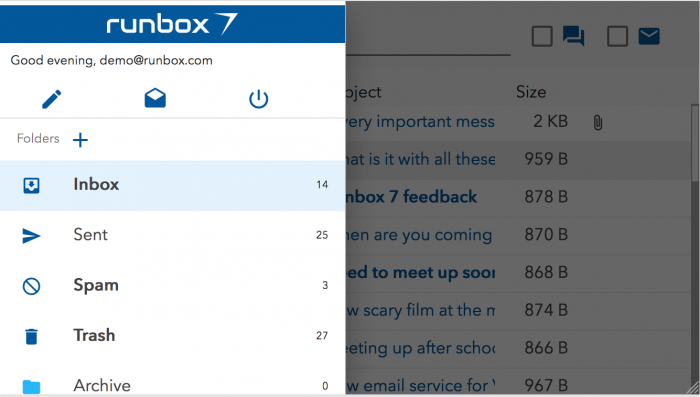 You can now use the Runbox 7 Webmail app just by tapping on the Runbox 7 icon! And if you haven’t yet joined our Runbox 7 Webmail beta test, just contact support@nullrunbox.com with the subject “Runbox 7 Webmail beta test”. 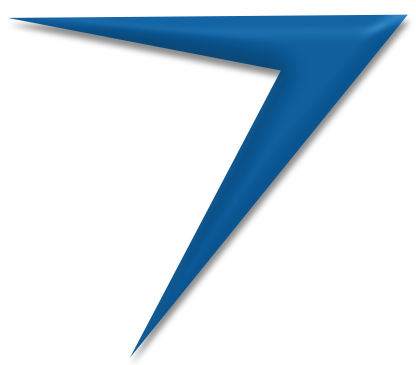 You will then gain access to the Runbox 7 Community with a discussion forum dedicated to the Runbox 7 Webmail app. There you’ll meet Runbox staff and developers as well as fellow beta testers, and be able to influence the development of Runbox 7. Here are a few screenshots of what the app looks like on Apple iPhone 6.